In this post we preview the best hiking sandals of 2018. When you are choosing your hiking sandals, whether you are an experienced hiker or trekker or not, there are a few fundamentals that you need to consider. Getting the wrong hiking sandal, as with any other piece of footwear, can lead to a whole world of pain and quite probably an awful lot of blisters. 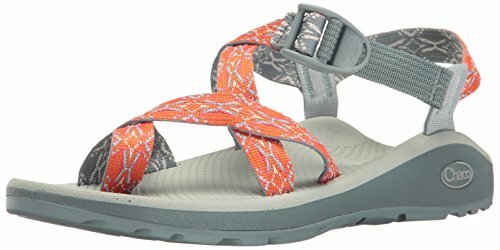 If you're new to hiking sandals, be sure to check out guide on how to choose the best hiking sandals. It goes over the main things you need to consider when buying a pair of good hiking sandals to meet your needs. So without further ado, let's take a look at the best hiking sandals! You can jump straight to particular sections in this article using the quick navigation table below. In this section we take a look at some of the best hiking sandals for men available on the market today. There are oodles of options available, so we've honed in some of the top performers which are also the most popular with lot's of excellent reviews and user love. The Newport H2 by KEEN, one of the leading brands in outdoor footwear, is a hybrid model that combines the grip and versatility of a water sandal with the toe protection and secure fit of a shoe. Ideal for any outside activity and robust enough for even moderate hikes, the KEEN Newport H2 is extra-supportive and makes transitions from wet to dry with ease thanks to its excellent traction and fast-drying construction. This KEEN sandal has a non-marking rubber outsole with multi-directional lug pattern and razor siping for excellent traction. The Newport H2 grips well on both wet and dry surfaces, making it an excellent choice for hiking over more rugged terrain, especially with water crossings. The TPU stability shank further adds to its support, while its anatomical EVA footbed molds to the shape of your foot for a personalized fit and unrivaled support and comfort. The density of the footbed makes the sole springy and helps to absorb shocks while preventing your foot from slipping, even when wet. The Newport H2 features a neoprene lined webbing upper that is durable, comfortable and quick drying. The neoprene prevents chafing and improves performance and stability in wet conditions. Complete with durable rubber toe area to prevent stubbing and an efficient lace secure-fit fastening system, the KEEN Newport H2 provides a secure fit with enhanced protection not usually found in a sandal. Fast-drying and machine washable, this sandal is extremely practical. The upper is also treated with an odor-reducing Aegis Microbe Shield® to keep your sandals smelling fresh between washes. The Newport H2 is available in several colors with a range of contrasting color accents. In short, this is a fantastically versatile sandal with great traction. 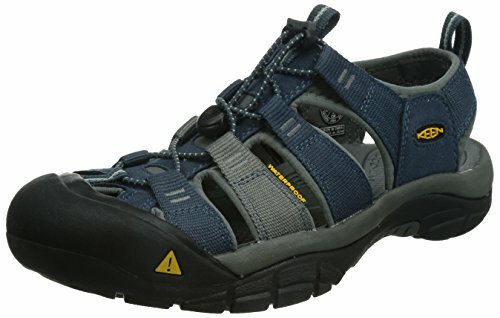 It is as suitable for trail hiking as it is for creek exploration and general outdoor activities, thanks to its comfortable fit, great support and covered toe area. These are called water shoes, and the title certainly fits because you are guaranteed that these will be just brilliant in the wet stuff. They are also ideal for almost all other types of terrain including rocks and boulders. The shoes are machine washable if they do get dirty on one of your exciting adventures. The Unifly midsole in conjunction with the leather upper, gives you that extra bit of support when you are walking. The mounding on the soles makes you feel like you aren’t actually wearing any shoes at all. 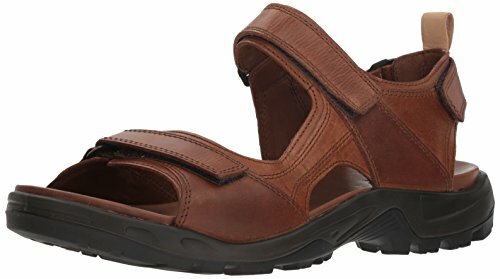 This is a really comfortable sandal shoe that you can wear all day and night, should you so choose. This is a fantastic water shoe that provides you with great comfort throughout your trek no matter what terrain you are on. The shoe can be worn in any type of water and is very easily cleaned, so there are no concerns about permanent water damage. The ability to dry the shoe quickly means that you are ready to wear them again in just a few hours. Overall verdict; brilliant water shoe, easily adaptable to any terrain. You will need to wear these shoes in before your first real test out in the elements of nature. Next on our list, A very simple yet effective sandal that has been developed so that every strap is adjustable to enable you to find the perfect fit. With many different colors to choose from, you can absolutely guarantee that you will find something to suit your needs. The lack of material means that this particular sandal is very easy to clean and extremely fast drying. Because the shoes are basically straps, you are able to pack them easily and they will take up very little room in your bag. 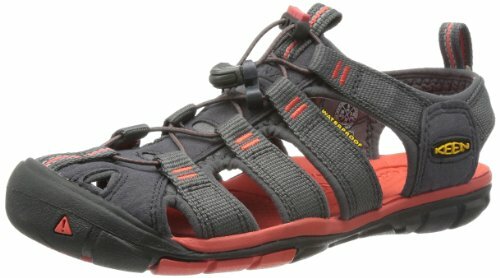 This is a comfortable shoe that is produced by one of the forerunners in hiking sandals. Years of development have gone into this shoe to make it one of the very best on the market. This is a very simple sandal that provides great adjustability to ensure the most comfort for you. There is a large selection of colors available to make sure you can purchase the best option that meets your requirements. These are very quick and easy to wash and dry, which is a wonderful benefit when you are hiking / trekking. Verdict; This is a rugged sandal that has very loyal followers. However, note that the more regular customers are now complaining that the quality of the shoe has dropped dramatically over the last couple of years. 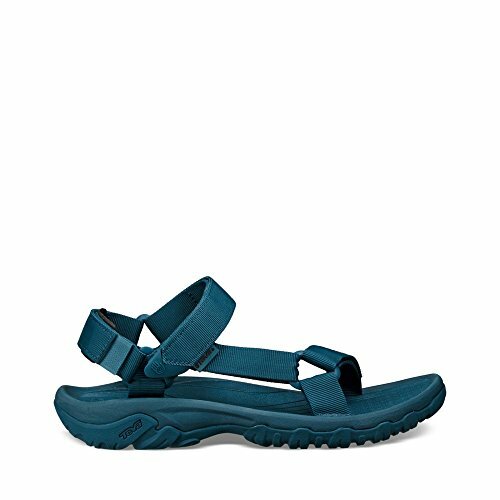 The Z1 Classic Athletic by Chaco has become an iconic sport sandal, renowned for its comfort and durability since its creation in 1989. Streamlined and fuss-free, its solid sole and superb grip make this robust sandal ideal summer hiking footwear, even out on rough terrain. Made from a bespoke non-marking rubber, ChacoGrip, this sandal’s thick outsole protects your feet and is an excellent shock absorber, making easy work of difficult terrain. The Z1’s outsole provides enhanced performance and grip thanks to a 3.5 mm deep lug that is optimized for extreme conditions and wet traction. Performance and traction are further enhanced by the Z1’s LUVSEAT PU stiff and sturdy midsole, which provides contoured arch support. These midsoles do not compress nor break down with wear and are central to Chaco’s practical design. The upper consists of durable polyester jacquard webbing. Not only does this webbing wrap around the foot, for fit and comfort, it also wraps through the midsole itself, ensuring an unparalleled fit and increasing longevity. The straps can be adjusted to a custom-fit, although it can take a little trial and error to get used to Chaco’s excellent system if you’re trying it out for the first time. In terms of comfort, the Z1 is hard to beat, especially for long days on the trail. Its LUVSEAT midsole is podiatrist certified, offering day-long support and keeping your feet comfortable no matter how many hours you’re out hiking for. The upper straps are quick drying and intuitively placed, preventing rubbing and ensuring your feet are secure. An antimicrobial treatment application ensures the Z1 remains odor-free, even after long periods of wear. For intensive use, durability and extreme terrain, it’s hard to find a sandal that’s an improvement on the Chaco Z1 Classic. It’s streamlined, timeless design provides the protection and traction you need out on the trail without compromising on comfort. The outsole is made from durable rubber and with its deep lugs it offers outstanding grip and traction on varied terrain, including slippery rocks and loose-underfoot trails. With its midsole consisting of directly injected PU foam for long-lasting cushioning, the Yucatan provides great comfort for the everyday walker. Receptor technology ensures that the foot remains stable and supported from ground impact. This performance sports sandal features an Agion-treated EVA footbed to inhibit bacterial growth and maintain healthy feet and odor-free sandals. The soft microfiber covering combines supreme comfort with excellent stability, keeping feet fresh. The Yucatan has a comfortable, flexible nubuck leather upper in a classic silhouette, complete with three-point adjustability and a neoprene lining for even more added comfort. The Yucatan’s versatile design, great comfort and grip make it an ideal sandal to wear out on the trail, although its lightweight classic design make it equally suited to an urban lifestyle and day-to-day non-intensive sports use. These sandals are extremely popular and keep feet comfortable mile after mile. In this next section we move on to the best hiking sandals for women. Again, there is a serious range of sandals to choose from, lot's of great ones, and lot's of not so great ones. Again, we've picked out the top performers with excellent user experience. Teva was established in 1984 by a Colorado river guide who struggled to find footwear that would grip well in wet conditions yet remain comfortable and dry quickly. Today, Teva has grown to become a top footwear brand that produces high quality, well-designed outdoor footwear with a cult following. The Tirra Athletic Sandal is perfect for all warm-weather sporting activities, with its cushioned heel Shoc Pad making it ideally suited to hiking. Its multiple straps adjust quickly and easily with their hook-and-loop closures, meaning your feet, and your grip, will stay secure. Made from compression-molded EVA, these popular, robust sandals have a rubber Spider Original outsole complete with water-channeling lugs and excellent traction, while the nylon stability shank ensures your Tirras remain in perfect shape whatever the terrain. Ideal in any outdoor setting, these sandals grip whatever the conditions, and really come into their own in wet, slippery places. Aside from their remarkable traction, they also dry quickly and are extremely durable. Added bonus, Tirra sandals are treated with Microban, a zinc-based technology that is antimicrobial in action. These sport sandals are renowned for their comfort, with a cushioned sponge EVA topsole that provides comfort and shock absorption. 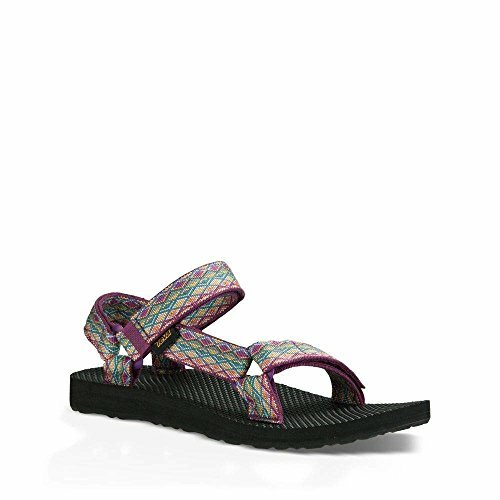 Lightweight and easy to wear, Teva’s Tirra sandals are undoubtedly one of the best women’s sandals you can buy for hiking. Thanks to their good looks, many choose to wear them for daily life as well as on the trail, a true indicator of their comfort and practicality. Let’s face it, hiking sandals generally compromise looks for performance, so the Tirra really is a rare find. Available in a large variety of sizes and colors, you’re sure to find one to your liking. Popular and well-respected brand KEEN has developed the women’s Clearwater CNX to provide a comfortable, lightweight outdoor sandal that’s suited to both dry land and water. 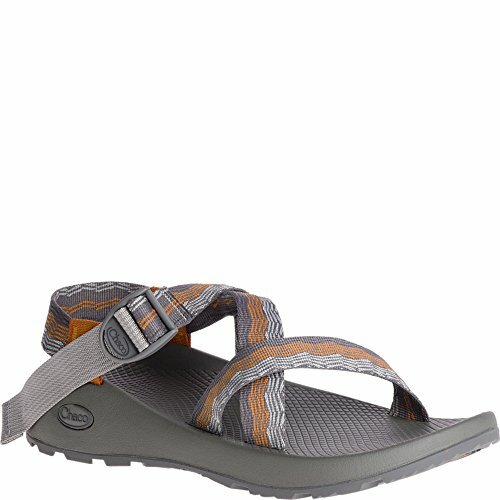 This sandal offers excellent traction, a covered toe area and makes a great choice for light to medium summer hikes. The KEEN Clearwater CNX features a non-marking rubber sole complete with flex grooves for enhanced grip. There’s also a durable TPU shank for extra stability, with a PU midsole that keeps the sandals lightweight and fast drying. For support and comfort there’s contoured arches and a metatarsal ridge. The sandal’s upper-layer consists of polyester webbing with a bungee cord fastening system which is easily adjusted on the go. In terms of comfort, the Clearwater CNX rates very highly. It is easy to put on with dual pull-on loops and the bungee cord system allows you to adjust the top for a perfect fit. Light and flexible, it is comfortable even after several hours wear. The inside of the webbing has a soft layer of neoprene, so your feet won’t get rubbed by the straps, while the covered toe area ensures you won’t suffer if you stub your foot against a rock. To keep your feet smelling fresh, the footbed is anti-odor treated. Designed primarily as a water sandal, you won’t get much better grip and traction than that offered by the Clearwater CNX, it handles even slimy rocks with ease thanks to its grooved rubber sole complete with razor siping. Fast-drying and lightweight, this sandal looks pretty sleek and is available in a variety of colors. It performs well both on the trail and in the water, although the flexible footbed and its lightweight construction make it ideally suited to short to medium distance hikes and creek exploration, as well as general day-to-day outdoor activities. The Original Universal Sandal from leading outdoor footwear specialists Teva, is a basic yet well-designed sandal that’s perfect for those looking for a great all-rounder that’s suitable light hiking and everyday wear. These sandals are made from polyester, known for its durability and fast-drying qualities, with a Durabrasion Rubber™ outsole that makes them long-lasting and lightweight. Traction and grip are enhanced by the outsole’s construction, but its flexibility prevents it from becoming a top contender in this respect. The Original Universal also features an EVA footbed and midsole with contouring for extra comfort and support. With three adjustable straps, the Original Universal offers a good fit for comfort and stability. The classic hook-and-loop webbing fastenings hold the foot comfortably stable and feature a padded heel strap. Like other sandals in the Teva range, the lining is treated with Microban, an anti-microbial product that will keep your sandals smelling fresh. The Original Universal is a strong and sturdy sandal that is extremely versatile. It comes in a wide range of colors and is lightweight and comfortable. However, as Teva’s lowest priced sandal, if you are looking for more support or durability for more intensive use than short hikes over easy terrain, you may be better looking at other sandals in the range. The Original Universal represents great value for money and is an excellent all-rounder, having become an iconic outdoor sandal that has been worn the world over. 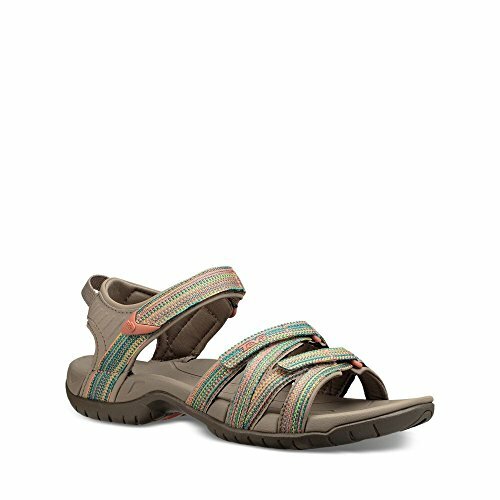 The Chaco Women's Zcloud 2 Sandals are our top pick as it is a versatile sandal with a lot of good user experience across the board. Chaco has been around for close to three decades making excellent footwear, and the Z loud series is a worthy addition to their long line of functional and comfortable products over the years. The sandals are secured snugly and comfortably around the feet using double-strapped polyester webbing in the upper, and through the mid sole ensuring it stays comfortable in place as you walk. This is secured in place using a functional and easy to use ladder buckle. The sandals also feature a women specific ‘LUVSEAT’ dual density PU (Polyurethane) midsole, which works with the feet to provide a lot of comfort. The outsole is synthetic and features a non-marking ChacoGrip rubber with lugs that have a 3mm depth, providing good grip and traction on the ground. Finally, the sandals have an antimicrobial application which helps with odor control over an extended period of use. They’re also pretty stylish too which never hurts! Verdict; Overall a really top notch sandal that ticks all the boxes in terms of comfort and functionality. They've also got a very stylish look about them too with their cross toe design which we like a lot. This is a very well-known brand of shoe that has a great reputation. The Keen Newport H2 sandal has a very popular toe guard that completely protects your toes. The Metatomical footbed provides comfort for your feet no matter how long you are hiking. The mesh lining gives you breathable comfort, allowing complete ventilation throughout the day. The adjustable straps give you the opportunity to make sure the fit is as snug as possible. If you do get the shoes dirty, they are machine washable and dry quickly. A great shoe for protecting your toes, especially in water. Great molding in the flatbed to give you additional comfort with the shoe, as well as stopping your feet from slipping when they are wet. Washable and quick drying to keep them looking as good as new. Verdict; This is a very solid shoe that protects your toes extremely well. However, there have been several instances of poor finishing and quality, so be sure you have good guarantees in place before you purchase. We hope you found this post on the best hiking sandals useful. 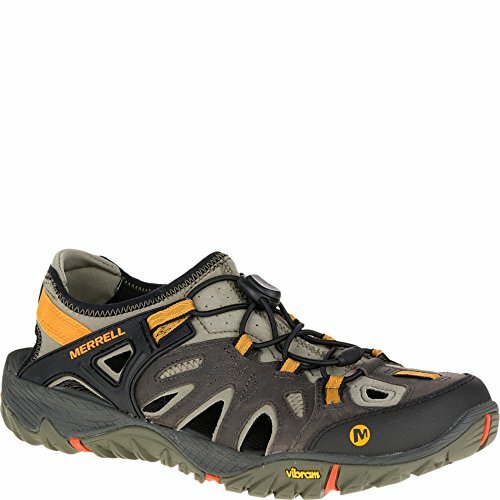 As you can see these are some of the best hiking sandal options available at very affordable prices. We'll be adding to this over time, so refer back often to see what other excellent sandals we add. Typically, we associate hiking boots or trail shoes when it comes to hiking, however, hiking sandals have their function too and can be a great addition to any hikers gear list.